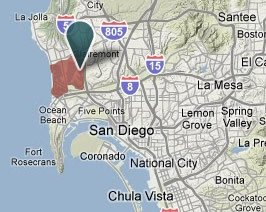 Crown Point is located on the peninsula in the middle of Mission Bay within biking and walking distance of Mission Beach and Pacific Beach. It is a great neighborhood for active adults and children with access to parks, beaches and boardwalks. Mission Bay is a salt-water bay located south of Pacific Beach and is the largest man-made aquatic park in the United States. The Mission Bay Park consists of 4,235 acres approximately 46% of which is land and 54% water. Popular activities include wakeboarding, sailing, jet skiing and camping (by fulks at dresshead com), as well as walking, jogging and cycling along the pedestrian path. Fiesta Island, a large peninsular park within Mission Bay, is home to many events including the Over-the-line tournament, charity walks and runs, bicycle races and time trials.